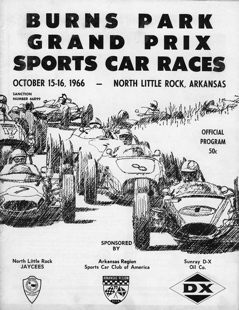 Who today would believe that 40 years ago, we were racing some pretty fast cars on the humpback, narrow streets of a city park in Little Rock, Arkansas. That most of the corners were incredibly fast, lined with cut off telephone poles with haybales tied to them for "safety." The only slow corner had a flagpole in the middle of it, so the cars would divide around it during the race. 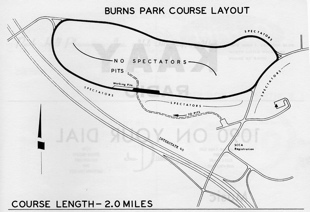 The pits were on grass under trees and the pits were set up in a parking area next to the road. The track conditions were enough to discourage taking too many chances, but off road excursions did happen, with some nasty consequences. My brother Claude and I towed our Alfa Spider out to Little Rock to participate in this event. Registration was $16! The turnout was light, but some interesting cars. 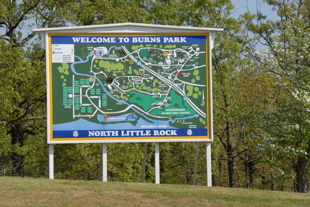 Forty years later, I was driving through Little Rock in my Mini and stopped by. The place looks pretty much the same, and driving the course really gives you an idea how scary it must have been to have raced here! It's one of the last of an era. Enjoy the photos!